During the birthing process, we used water to manage the discomfort. Some of Grace’s first visitors were Erin’s brothers, father and aunt. 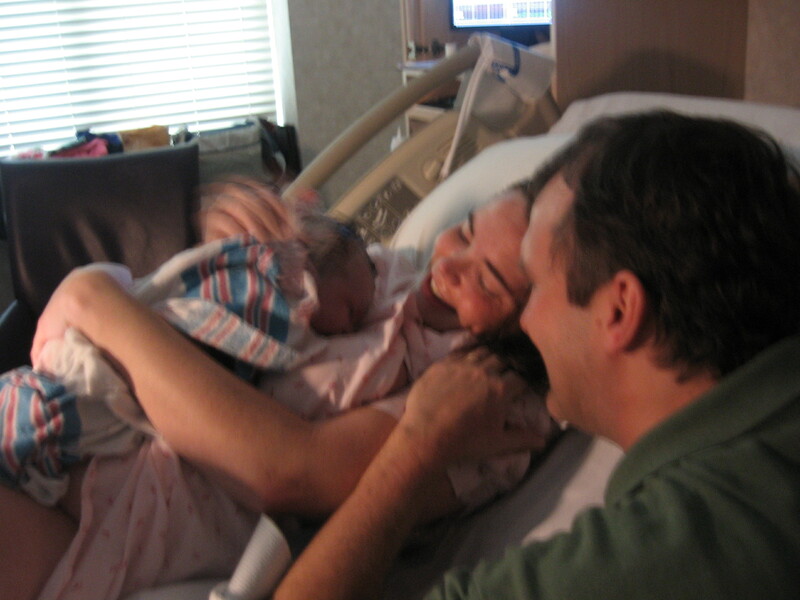 We are delighted to announce that on September 9, 2008 at 11:09 am, Emma Grace Robinson joined our family officially. Our day began at 4:10 AM when Erin woke up to her water breaking. She flipped on the light, which prompted confusion from Greg because it was still dark outside. Once she explained that her water had broken, Greg happily jumped up and sent an email to both of our bosses to explain that we’d be out of work. 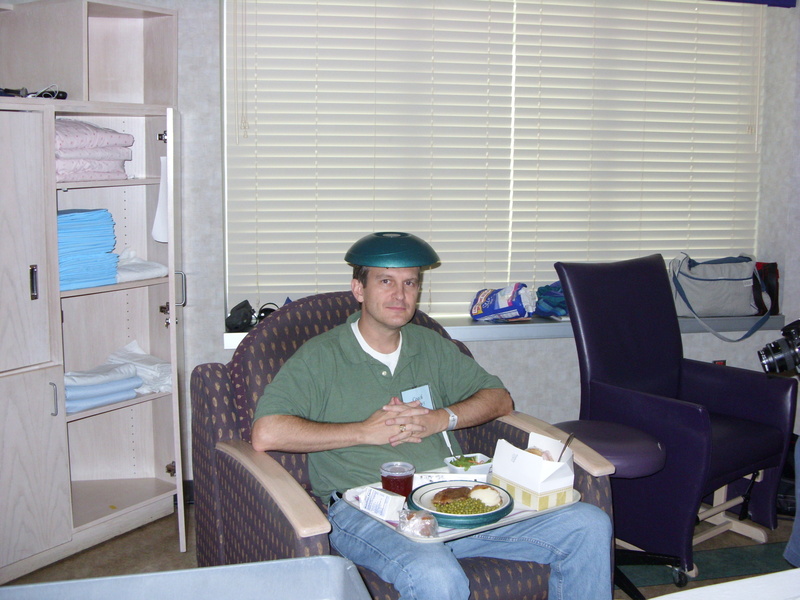 While Greg grabbed a shower, Erin called our doula, Cher, then went downstairs and made cookies for the nurses at the hospital. Cher got to our house and began timing contractions while Erin made herself eggs for breakfast to sustain her energy. 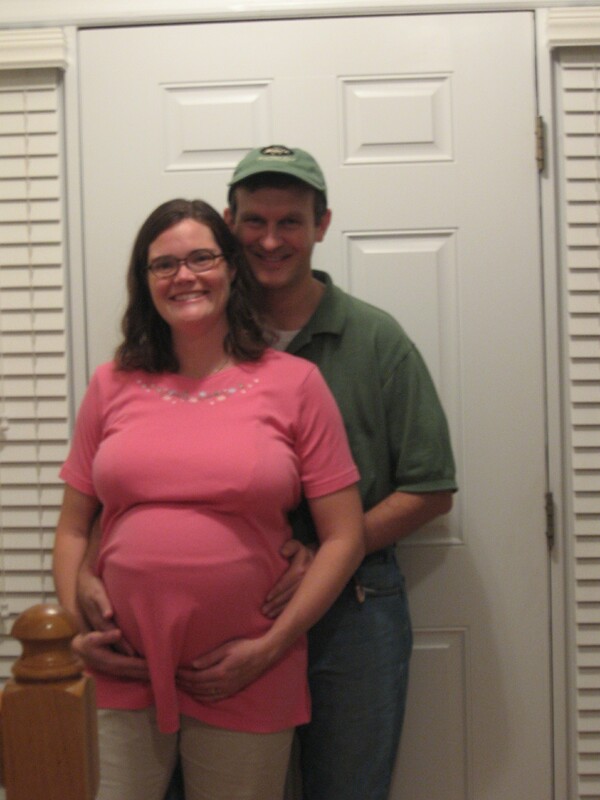 By the time the cookies (2 dozen) were done cooking and Erin had eaten breakfast, pressure waves (what we call contractions) were coming every two minutes and we headed to the hospital– Erin called her midwife & Greg’s parents on the way, and we got there a little after 6 AM. 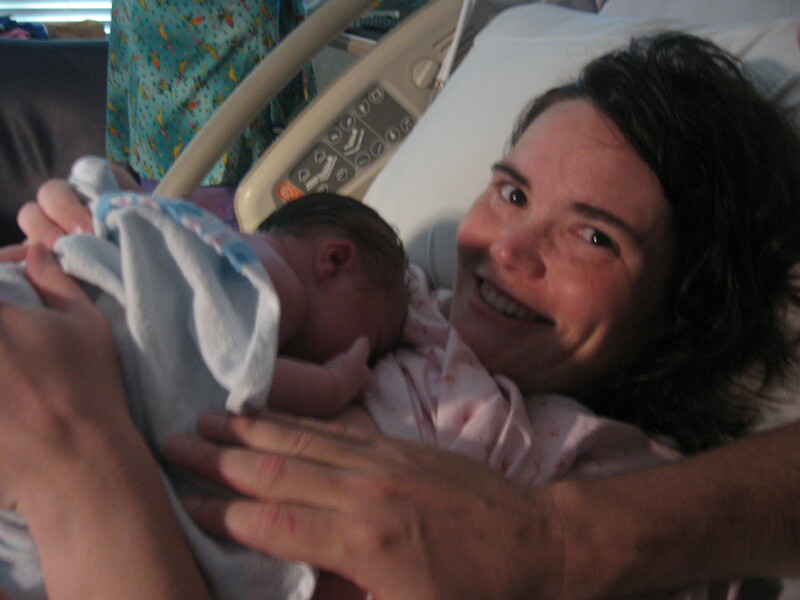 Upon arrival at the hospital, Erin used hypnosis, the tub, a birthing ball and several other techniques to manage the increasing intensity of her pressure waves. 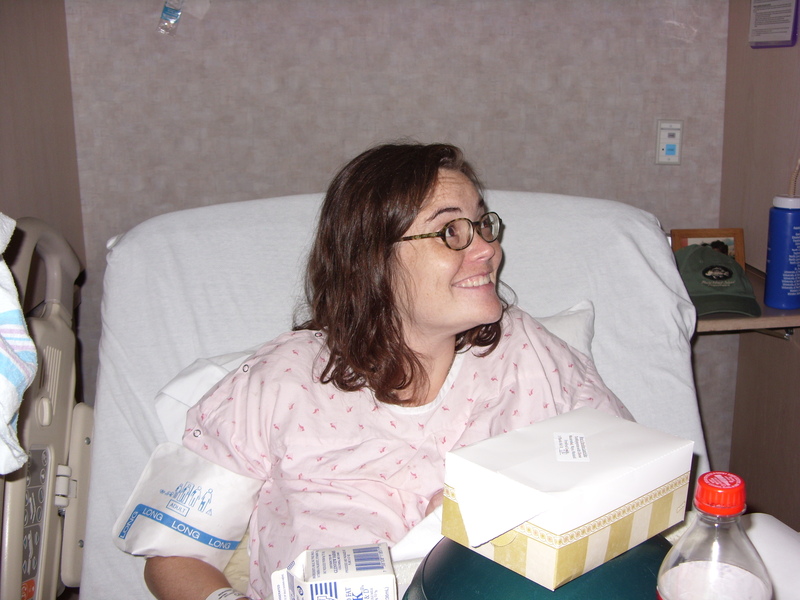 While she was on the birthing ball, Erin started feeling pushy, and quickly, needed to move to the bed (in a sidelying position). Greg was a fantastic support (as he had been throughout the morning) as Erin began to push out the head. As it turns out, her head was 14.5 inches around and she was waving as she emerged, so the ‘ring of fire’ was pretty intense. 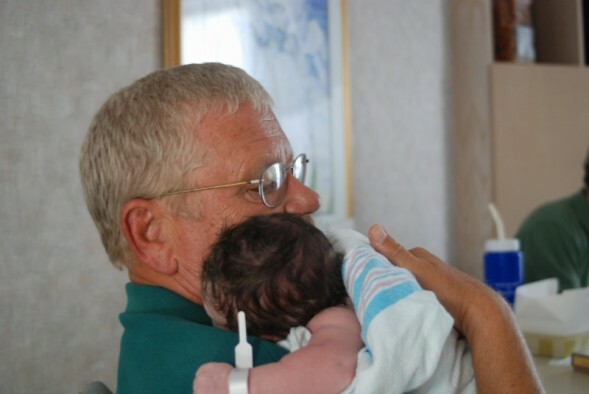 Fortunately, at no point did things beome so intense that Erin needed or asked for any more support than Greg and Cher’s prompting to breath and visualize the birth canal ‘opening’ to let Grace out. The size of Grace’s head plus hand did cause some tearing, but fortunately the midwife was able to sew that up quickly while Grace began eating her first meal. 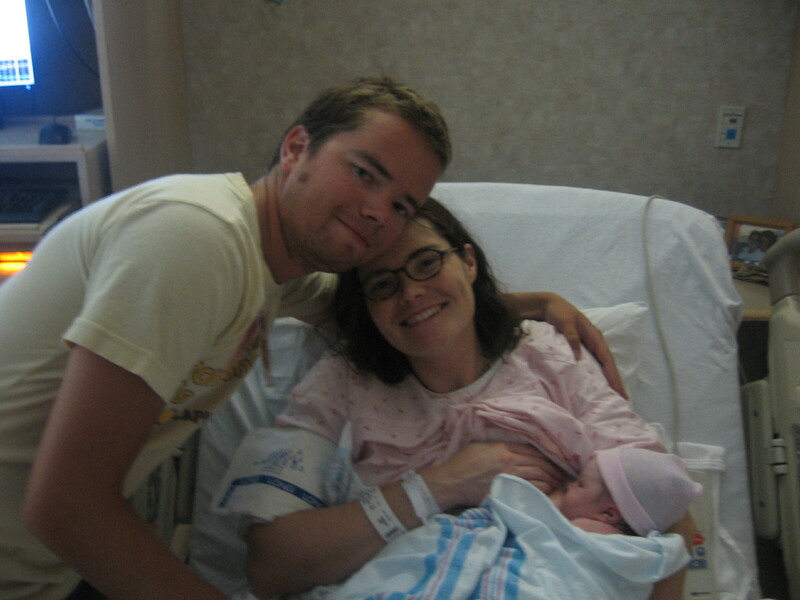 Once she was placed on Erin’s stomach, she launched into lusty cries as Greg cut the umbilical cord. 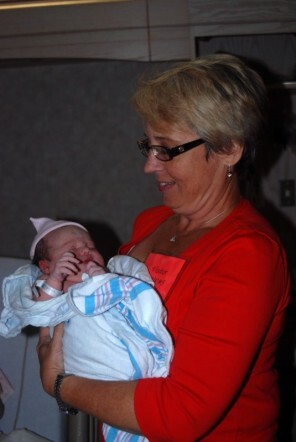 She got two 9 APGAR scores because she was so healthy and alert. 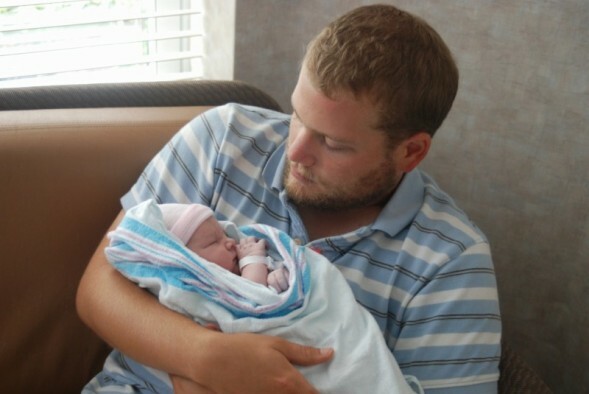 By lunchtime, we knew that she was 9 lbs, 1 oz and 22 inches long and she’d had a chance to meet Erin’s Dad, Erin’s aunt, & Erin’s two brothers. Her big blue eyes were bright as she peered around at her new world. By 1 pm, we’d moved to the recovery side of things and made calls to friends and family letting them know the news. 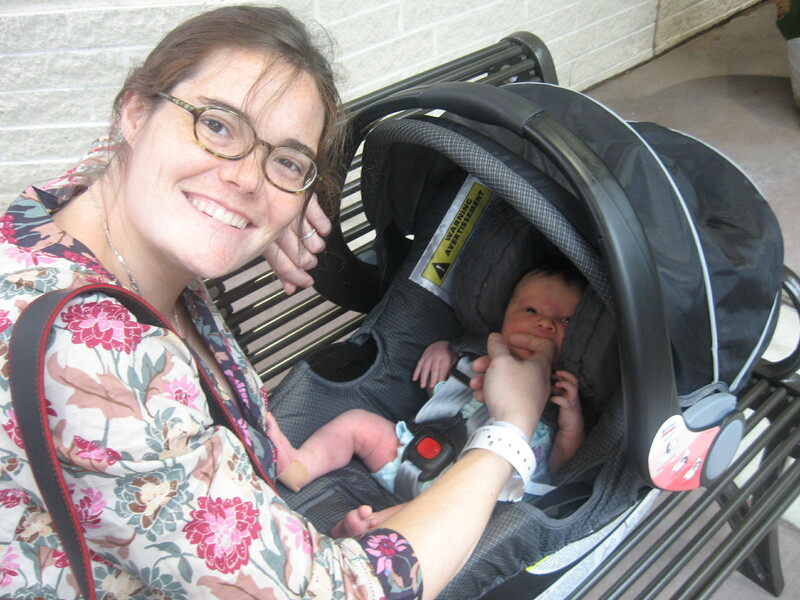 Fortunately because Erin healed well and Grace looked great, we were able to leave the hospital and head home by a little after 24 hours after Grace arrived. Erin’s grandmother came up to take good care of us and we are all looking forward to Grace getting to meet Greg’s parents tomorrow!